HELLO BOZNIA and HERZEGOVINA! Thank you for following my blogs. :)Not so good today. Our little dog lilly is sick. We already brought her to the Vet and still she is not feeling well. I hope she get better in the following days. 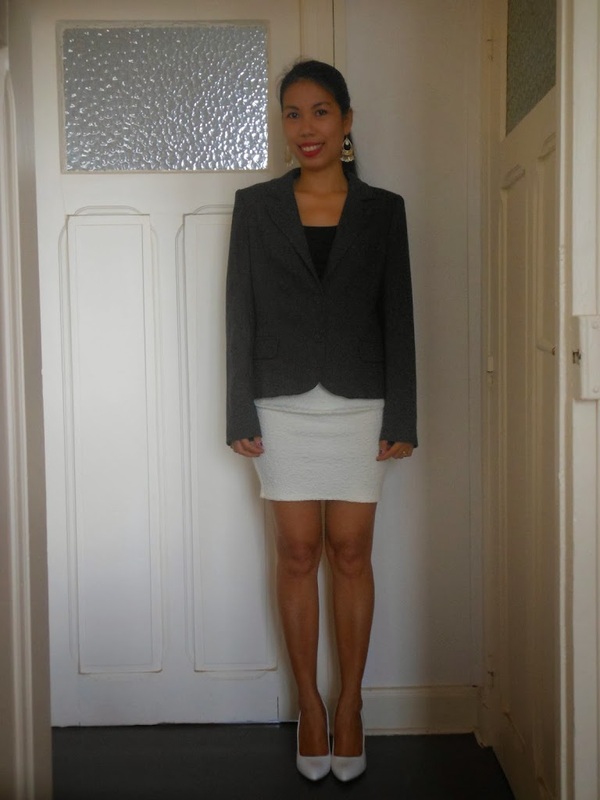 I’m wearing something formal today but wait until I take off my blazer :). Formal and flirty. To sheild myself from cold and of course I want to be comfortable at the same time. My coat is from Debenhams a gift from my sister and my skirt is from PIMKIE. My black tank top is from H&M which you already saw in my previous blogs. Yes, black and white can be stylish of different occassions. How’s your Wednesday going? Stay fabulous and smile!